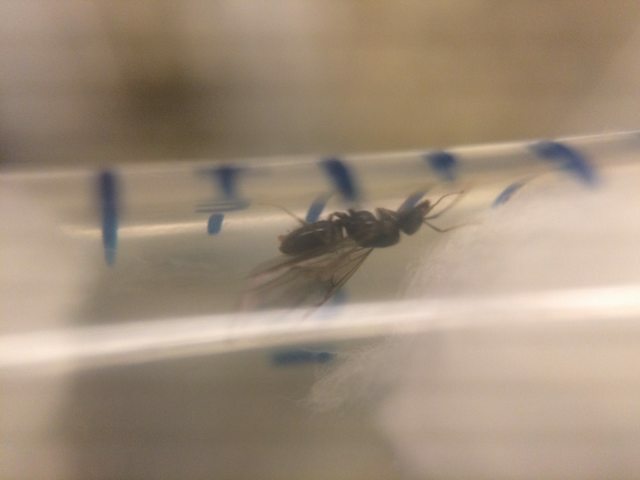 I caught this queen when her colony decided to move her into a cereal box in my cupboard. I quickly tossed her and some workers in a ziplock with a test tube setup and she has started laying eggs after just a couple days. That would make sense. 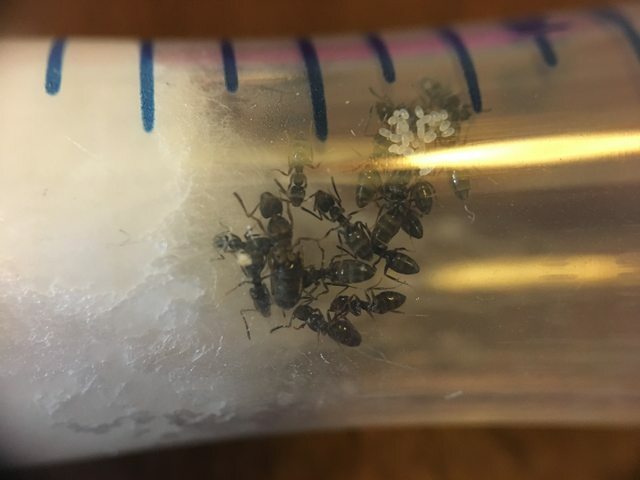 I caught some Lasius claviger queens a couple days ago. The large head made me think queen, but the smaller gaster had me confused. Caught at a porch light. I had thousands of Brachymrymex queens flying and caught this among them. I just became a GAN farmer in Maryland. I have two Lasius colonies for sale now. RainbowScience wrote: I am surprised by how dark queen 8 appears in the picture, aren't B. depilis typically yellow? Mine is very yellow. I think that is from the lighting. They are all a yellow-y orange. They were so light in color that it was hard to see them on the white sidewalk pavement.